A Geek squad that aimed to bring federal services into the digital age by moving processes online to boost efficiency and effectiveness has fallen prey to mismanagement, waste, and under performance. What a surprise! Instead of bringing the innovation of Apple or Uber to Washington, the promising squad of technologists seems to have adopted the culture of government employees and thus operates like other beleaguered federal agencies which deliver a DMV experience rather than private-sector service. 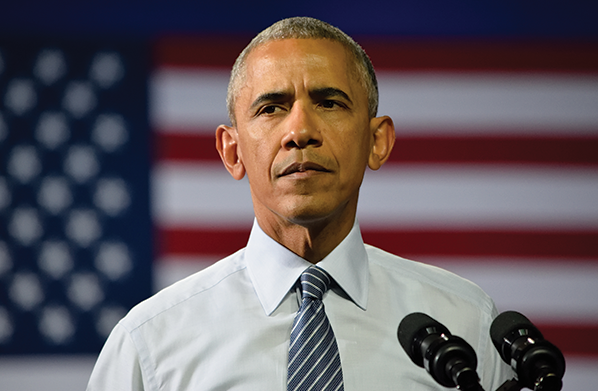 Since his time in office, President Obama has pushed hard to modernize operations in Washington. Americans should be able to access high-quality digital government information and services anywhere. That’s actually a good, common-sense priority that could save taxpayers time, effort, and money by eliminating waste, duplication, and inefficiencies. For example, he created a presidential fellowship program to put private sector technologists in federal agencies for six-to-twelve month stints and then that program was transferred to the General Services Administration (GSA). GSA decided to create a bigger tech squad to service all federal agencies and include these presidential fellows as part of it. However, it was set up as a business that was supposed to collect revenue for services rendered. This had the makings of a TV-style underground squad of heroes who solve problems for citizens using technology. They even adopted a cool name, “18F,” which stood for the location of their office in Washington, D.C. If only what was on paper lived up the expectations. A federal audit by the GSA’s own internal watchdog found that 18F was failing miserably to meet revenue projections, citing mismanagement as the cause. The squad of techies didn’t collect on bills, got bloated with overhead, and experienced mission creep. In other words, it acted like a government agency. In the two and a half years since it was launched in 2014, 18F’s mission expanded from making government’s digital services simple, effective, and easier to use to becoming the IT consultant for government. That’s like growing from a store-front copy shop with two copy machines to Fedex which handles, design, printing, signs, shipping, and more. That kind of scale means bigger budgets and bigger staff. The staff grew 500 percent and expenses expanded from $8.6 million in 2014 to $41.3 million in 2016. 18F’s current memorandum of agreement with FAS requires a plan to achieve full cost recovery of both direct and indirect costs in order to use the ASF to fund its operations. We found that 18F has not developed a viable plan to achieve full cost recovery. What are the reasons 18F is so deep in the hole? 18F’s management overestimated revenue projections, hired too much staff, and the staff spent too much time on non-billable activities. Better management and supervisors could have mitigated such high losses. The recommendations to get things back on track at 18F are no brainers such as establishing a plan to recover all costs for work performed, ensuring better tracking of billable time, and ensuring IT-related projects are confirmed in writing before starting the projects. Like any small business, there are bumps along the way and lessons to learn. Entrepreneurs learn quickly and adapt because this business may be all they have to survive on. However, when your funding source is government, federal workers seem to take a more casual attitude. That’s unacceptable. Taxpayers are footing the bill and we have little choice in how our federal tax dollars are being spent. We do have an expectation that they are being spent wisely though. Anyone who think it’s no big deal how big the losses are should be removed. The biggest lesson is that you can’t uproot innovation and transplant it into government so that government grows more efficient and effective. The soil and climates are just too different as the comments by 18F leadership demonstrate. Yet, another costly lesson that we taxpayers fund.